Quale corno principale ha suonato con importanti orchestre: Tonhalle, Ensemble Modern Frankfurt, Melbourne Symphony Orchestra, Malaysian Philarmonic Orchestra, Gustav Mahler Youth Orchestra, Verbier Festival Orchestra e Lucerne Strings. Zora Slokar was born in Bern. 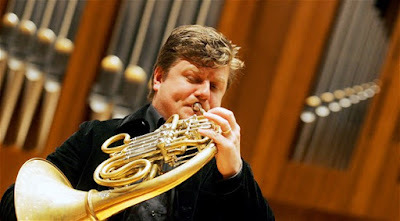 During his career he has performed as a soloist with orchestras such as "Čajkovskij" Radio Orchestra of Moscow, the Orchestra of the Radio of Ljubljana, the Orchester de Chambre de Genève, the Solisti of Zagreb, the Chamber Orchestra of Milan . 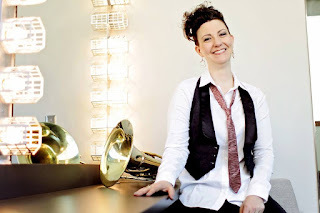 A passionate chamber musician, she regularly collaborates on projects with renowned musicians such as Martha Argerich, Gidon Kremer, Natalia Gutman and Alexander Lonquich. She was invited to perform at the Verbier Festival, at the "December Nights" in Moscow, at the Martha Argerich Project, at the Oxford Chamber Music Festival. Gidon Kremer called her to play at the prestigious Lockenhaus Festival. Zora Slokar has recorded the Brahms and Ligeti Trio for Swiss National Television. 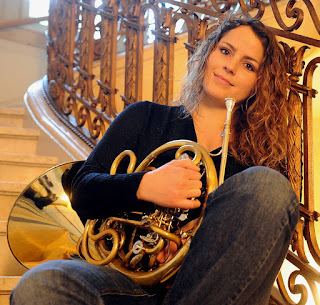 She has won numerous prizes (including "Anemos" and "Ceccarossi" in Italy and the "Kiwanis" prize in Zurich) and has arrived among the finalists of the Paxman Competition "Young Horn Player in London. She first trained in violin and then dedicated herself to the horn under her father's guidance. 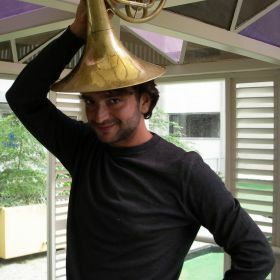 He studied with Erich Penzel and Radovan Vlatkovic, graduating soloist in 2008 at the Hochschule der Künste in Zurich. 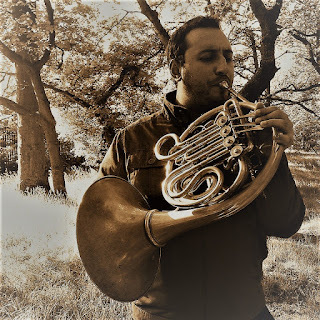 As principal horn he played with major orchestras: Tonhalle, Ensemble Modern Frankfurt, Melbourne Symphony Orchestra, Malaysian Philarmonic Orchestra, Gustav Mahler Youth Orchestra, Verbier Festival Orchestra and Lucerne Strings. Ho iniziato a suonare il violino a 5 anni. Quando avevo 16 anni ho suonato nell'orchestra giovanile svizzera e per la prima volta ho realizzato che suonare con 20 altri violini non mi renderà felice...ero molto frustrata...abbiamo suonato Don Juan di Strauss e mi piaceva sentire i corni molto! Sono ritornata a casa e mio padre subito mi ha ordinato un bocchino e poi un corno e quindi ho iniziato a suonare insieme a lui (trombonista). Mio padre è trombonista, suonava presso i Bayrischer Rundfunk, era sempre geloso dei corni perché il trombone, oltre al Bolero, non ha mai dei soli. Quindi lui mi stimolava tanto con l'idea di suonare il corno. Mia mamma suonava il violino come hobby ma è molto appassionata di musica. Prima di tutto mio padre perché i primi due anni e anche dopo ho studiato tanto tanto con lui e lui mi sapeva spiegare tutto, non solo la tecnica ma anche le cose mentali, come nessun altro. Un insegnante importante è stato anche Erich Penzel che mi ha dato una base e una tecnica straordinaria. E' stato molto importante anche Radovan Vlatkovic, un caro amico di famiglia e ho spesso ascoltato il suo suono meraviglioso che mi ha influenzato tanto. Quando siamo giovani e forti, forse possiamo anche suonare bene senza un warm-up lungo...io penso che il warm-up sia importante per il futuro poiché purtroppo non saremo sempre giovani e anche i nostri muscoli cambieranno...purtroppo non possiamo cambiare il nostro labbro con l'età allo stesso modo in cui gli archi possono cambiare le corde, quindi dobbiamo curare bene la nostra impostazione e i muscoli. Sicuramente anche la tecnica giornaliera è importantissima. Esercizi come note lunghe, flessibilità, scale, arpeggi, velocità, esercizi nel registro basso e nell'acuto devono far parte nel nostro studio giornaliero. Io personalmente non uso accessori, ma sicuramente sarebbe bene usarli! Infatti, vorrei provarli! La respirazione è importantissima per noi e si può sempre migliorare. Soprattutto per noi donne che già in natura abbiamo meno capacità polmonare rispetto agli uomini... io cerco di respirare in un modo naturale e di respirare bene in modo profondo e pieno. Come ho già spiegato prima è importante curare la nostra imboccatura anche per il futuro. Le imboccature naturalmente sono molto diverse e esteticamente non per forza devono avere una forma perfetta perché ognuno di noi ha labbra e denti diversi. Mi ricordo che il mio insegnante voleva cambiare la mia imboccatura poiché io suono non al centro ma un po' a destra, mi ha anche mandato dal dentista per mettermi qualcosa sul dente, diceva che ai concorsi sarà importante la forma fisica e non solo suonare. Alla fine non so se ho cambiato molto, sto sempre suonando un po' sul lato destro e non ha mai dato problemi. Non lo so, credo che lo studio serio giornaliero aiuta e sicuramente aiuta anche avere un modo di vivere sano e fare un po' di sport. Studiare, studiare e studiare! Avere un buono stato mentale. Oggi in tante scuole si fanno dei corsi per il lavoro mentale. Per lo studio è importantissimo usare il metronomo e l'accordatore. Conoscere bene il brani e passi d'orchestra per trovare il carattere e il colore del suono. Poi quando si ha studiato bene, dobbiamo avere la possibilità di suonare tanto davanti un pubblico, davanti ai colleghi della classe o anche davanti a altri strumentisti poiché al concorso non ci sono solo cornisti ma anche archi che ascoltano in un modo diverso dal nostro. Mi ha aiutato tanto il libro "tennis&psyche". È spiegato molto bene il lavoro mentale per giocare a tennis. E' quasi uguale per noi musicisti. Invito tutti a leggerlo. Sto suonando un corno triplo di E.Schmid con il Eb acuto e anche un Alexander 503. Come bocchino uso il Josef Klier 2 EM con il foro leggiermente più largo. Mi piaciono i corni tripli con il Eb acuto di Schmid ma anche i modelli 1103 e 503 di Alexander. 103 invece non mi va bene. Il tuo compositore preferito? Quale Solo è stato importante nella tua carriera e qual è il tuo preferito? I started playing the violin at 5 years. When I was 16 I played in the Swiss youth orchestra and for the first time I realized that playing with 20 other violins will not make me happy ... I was very frustrated ... we played Don Juan by Strauss and I liked to hear the horns very much ! I returned home and my father immediately ordered me a mouthpiece and then a horn and then I started playing with him (trombonist). 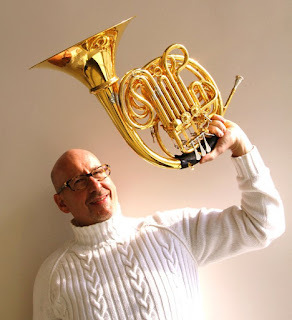 My father is a trombonist, he played at the Bayrischer Rundfunk, he was always jealous of horns because the trombone, in addition to Bolero, has never have important solos. So he stimulated me so much with the idea of ​​playing the horn. My mother played the violin as a hobby but she is very passionate about music. Who are the hornists who have influenced your career as a student and as a professional? First my father because the first two years and even later I studied so much with him and he knew how to explain everything, not just the technique but also the mental things, like no other. An important teacher was also Erich Penzel who gave me an extraordinary foundation and technique. Radovan Vlatkovic, a close friend of the family, was also very important and I often listened to his wonderful sound that influenced me so much. How important is heating and daily technique? When we are young and strong, maybe we can also play well without a long warm-up ... I think the warm-up is important for the future because unfortunately we will not always be young and our muscles will change too ... unfortunately we can not change our lips with age in the same way that the strings can change the strings, so we must take care of our setting and muscles. Of course, even the daily technique is very important. 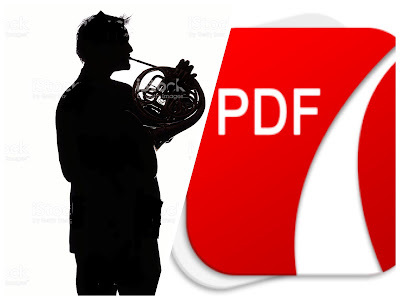 Exercises such as long notes, flexibility, scales, arpeggios, velocities, exercises in the low and acute register must be part of our daily study. I personally do not use accessories, but surely it would be good to use them! In fact, I would like to try them! Breathing is very important for us and we can always improve. Especially for us women who already have less lung capacity than men in nature ... I try to breathe in a natural way and to breathe well in a deep and full way. As I have already explained before, it is important to take care of our mouth also for the future. The mouths of course are very different and aesthetically not necessarily have to have a perfect shape because each of us has different lips and teeth. I remember that my teacher wanted to change embochure because I play not in the middle but a little to the right, he also sent me to the dentist to put something on my teeth, said that in the competitions will be important physical form and not just play. In the end I do not know if I changed a lot, I'm always playing a little on the right side and never gave problems. What is the secret to maintaining quality and suitability over time? I do not know, I think that serious daily study helps and certainly also helps to have a healthy lifestyle and do some sport. What advice would you give to face an audition? Studying, studying and studying! Have a good mental state. Today, in many schools, courses for mental work are done. For the study it is very important to use the metronome and the tuner. Know well the music and orchestra steps to find the character and color of the sound. Then when we have studied well, we must have the opportunity to play a lot in front of an audience, in front of colleagues in the class or even in front of other instrumentalists because in the competition there are not only hornists but also strings that listen in a different way from ours. The "tennis & psyche" book helped me a lot. Mental work to play tennis is very well explained. It's almost the same for us musicians. I invite everyone to read it. 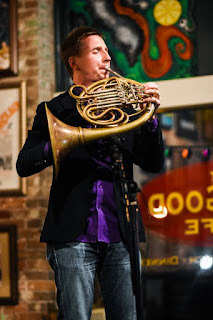 I am playing a triple horn of E.Schmid with the acute Eb and also an Alexander 503. As a mouthpiece I use the Josef Klier 2 EM with the slightly wider bore. Do you prefer a brand of instruments? I like the triple horns Schmid with acute Eb but also the models 1103 and 503 by Alexander. 103 but I do not like it. Your favorite composer? Which Solo was important in your career and what is your favorite?